Most of you know what the Hunt is already. For those who don't... you'll find out in time. For now, let's just say that one of the ways to elude the Hunt is to pray until sunrise. Trouble is, the Hunt circles you in the meantime, hoping to break your concentration. If you stop for one moment, the Hunt has you! As you can guess, not many people choose this method. This is the last page of Issue 1. There will be a print cover coming up for this issue, then we'll move on to Issue 2. I hope you've been enjoying the story so far. Thanks for reading! Matt and I are currently out at Anthrocon! 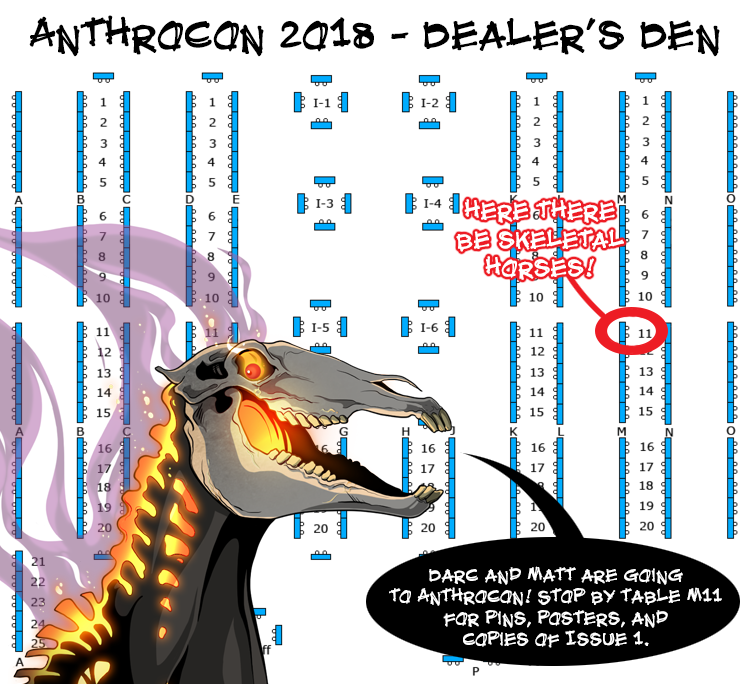 If you're in the area stop by and visit us at table M11 in the Dealer's Den!